As promised Design daily is bringing you a roundup of this years January Maison & Objet held over four days at Parc de Expositions from the 20th to the 24th of January. Eight halls sporting more than a thousand brands saw 135,000 visitorswalk through and the winter Maison was deemed a total triumph with an increase in attendance of 12.3%. Maison was once seen as predominantly an accessories fair but it has morphed into a fully fledged design event with a huge array of lighting, furniture, fabrics and home wares. While Frecnh brands are particularly well represented thete has been a sharp increase in companies from southern Europe such as Italy, Spain and Portugal. Quintessentially French looking but actually a product from Barcelona brand Nomon. The is a combination mirror shelf and velvet covered pouf for the ultimate dressing room experience. Like most fairs there is a certain hullabaloo around the fairs selection of their Designer of the Year. This years recipient was the Parisian based designer Pierre Charpin who works a lot with Galerie Kreo but has also designed lamps for Danish brand Hay and was the most recent guest designer for the interior of Le Corbusier's Apartment No 50 in Cité Radieuse, Marseille. His wonderful use of colour sets him apart as does his individual take on simple shapes. Pierre Charpin vessels for Cirva 1998 -2001. Photograph by Michael Bonvin. Pierre Charpin's interior reworking of Le Corbusier's Apartment No 50, Cité Radieuse, Marseille. The 'Crescendo' coffee table by PIerre Charpin - Maison & Objet's Designer of the Year 2017. One of the stand outs of this year's Maison came not from the French but from across the water. The Rising Talents Award asks six leading British Designers to put forward a designer each and showcase their work as part of a group show. This chosen masters of British design included Nigel Coates sponsoring Studio Swine, Ilse Crawford with Marcin Rusak, Tom Dixon with Zuza Mengham, Ross Lovegrove with surface designer Giles Miller Studio, Jay Osgerby with designer and woodworker Sebastian Cox, and Sir Paul Smith with illustrator and textile designer John Booth. You can see an earlier Design daily post that feature the work of Studio Swine and Marcin Rusak here. Studio Swine's featured item selected by Nigel Coates is a sideboard exploding with a disc of sea-plastic adorned with coral. Young Shanghai brand Maison Dada professes to adding a little bit of Dada into interiors - the result is certainly in tune with the Memphis look at times but the range has more depth than that and includes some wonderfully whimsical side tables, rugs, lighting and accessories. Established in 2015 by designer Thomas Driel and partner Delphine Moreau, the range is exclusively designed by Dariel (who also acts as art director of the brand) and Chen Furong. Maison Dada's 'Yin & Yang' chest of drawers on top of their 'Japanese Abstractions No 2' rug. The Memphis moments are mixed with objects in pastel colours that are more in tune with the current obssession with geometric shapes with brass accents. Think pale pink and pale green with a touch of bling. I'm not sure whether it is the influence of having Australian designers Daniel Emma on their roster of designers but young French brand Petite Friture have certainly moved into Daniel Emma territory with their latest abstract geometric scenography. French brand Petite Friture displayed their imaginery Ville PF house. The brand launched playful wallpapers by Tiphaine De Bodman and Melbourne textile designer and illustrator Shelley Steer and bolstered its fresh young look were new mirrors called' Panache' by French designer Constance Guissett. De Bodman's 'Jungle' and 'Volutes' papers follow a hand drawn and painted direction respectively while the dotty cloud-like paper 'Variations' (shown to the right of the image above) brought a more sophisticated atmosphere. Steers' wallpapers and cushions referenced the natural world and were called 'Dots' and 'Minerals'. Paris label eno studio showed some lovely new product that reflects the current design obsessions of intricate abstract patterns and geometric shapes. The new 'Terrazzo' cushions offer a strong Memphis vibe while the 'Lo' mirror and 'Nimbe' clock feature the use of fine outlines and strong elemental shapes respectively. British wallpaper company Cole & Son, launched their 'Singita' wallpapers - a collaboration with South African ceramics studio Ardmore Ceramic Art. The 'Cover' sofa by Marie-Christine Dorner for Ligne Roset modernises the Chesterfield look . Bert Frank is a British brand founded in 2013 that has a strong mid-century influence running through its work. Previously mainly producing extraordinary lights in various metals, the brand has branched out into equally amazing furniture pieces using richly expressive timber veneers and brass. The Bert Frank look - long and low fine brass accents and tufted velvet. British stone specialist Lapicida launched the 'Collison' console by well known jewellery designer Lara Bohinc. Joining her earlier collections for Lapicida such as the 'Solaris' coffee table and 'Half Moon Mirror', Bohinc launched her 'Collison' console table for Lapicida at Maison & Objet. Made from marble and brass, the design features an intersecting disc wrapped in brass that supports its narrow shelf. French design powerhouse Ligne Roset released a beautiful new sofa by Marie-Christine Dorner. What is particularly interesting about this sofa is that it provides two destinct looks through zip-on removable covers. Studio Ilse's 'Touch' trays for Zanat feature incredible hand worked surfaces. Ilse Crawford's Studio Ilse launched some interesting pieces with Bosnia and Herzegovina brand Zanat. These included timber trays, lamps and benchs - all featuring Zanat's signature hand chiselled finish. While luxurious materials such as marble, brass and velvet were very much in evidence at Maison & Objet, there were a number of brands following a more organic crafted look. 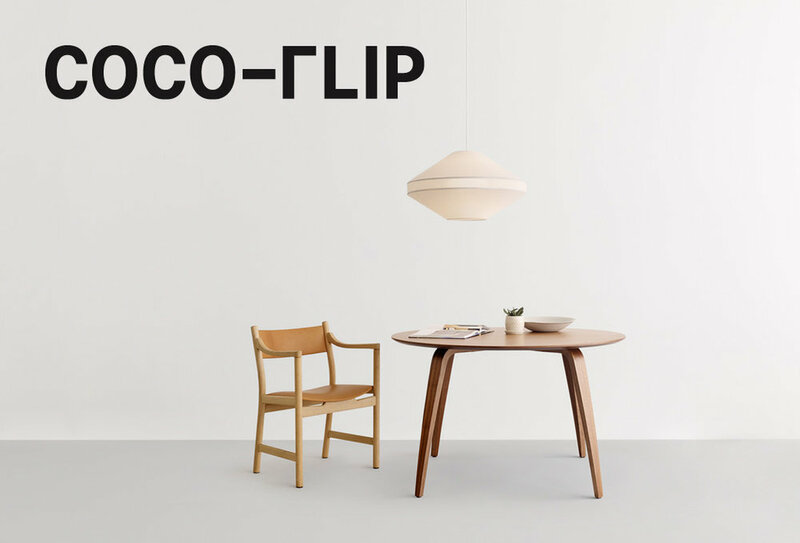 One ofthe most interesting was Zanat, a Bosnia and Herzegovina company that specialises in timber pieces where the texture of delicate hand-chiselling is used to counterpoint the contemporary design language. Coming to international attention in 2015 with the 'Unna' chair by Monica Förster, the brand has expanded their designer base which previously included names like Harri Koskinen, Jasna Mujkic and Salih Teskeredžić to include Studio Ilse. The Touch range of objects launched at this year's Maison & Objet emphasised the contrast of smooth and textured (as seen in the trays shown above and extended to the seats of benches and the bases of timber lamps. Barcelona brand Nomon showed their clever wall supported desk and shelving (their dressing room piece 'Tocador' is shown at the start of this post). These solid wood designs morph into points that touch the wall to provide support for the shelves that otherwise appear cantilevered. The furniture has something of the highly crafted flowing feel of built-in elements in Gaudi buildings - albeit stripped of any decoration. And that's it for Design daily's picks from Maison Objet 2017. Next week's trade fair goodness will come from the colder climes of Stockholm.